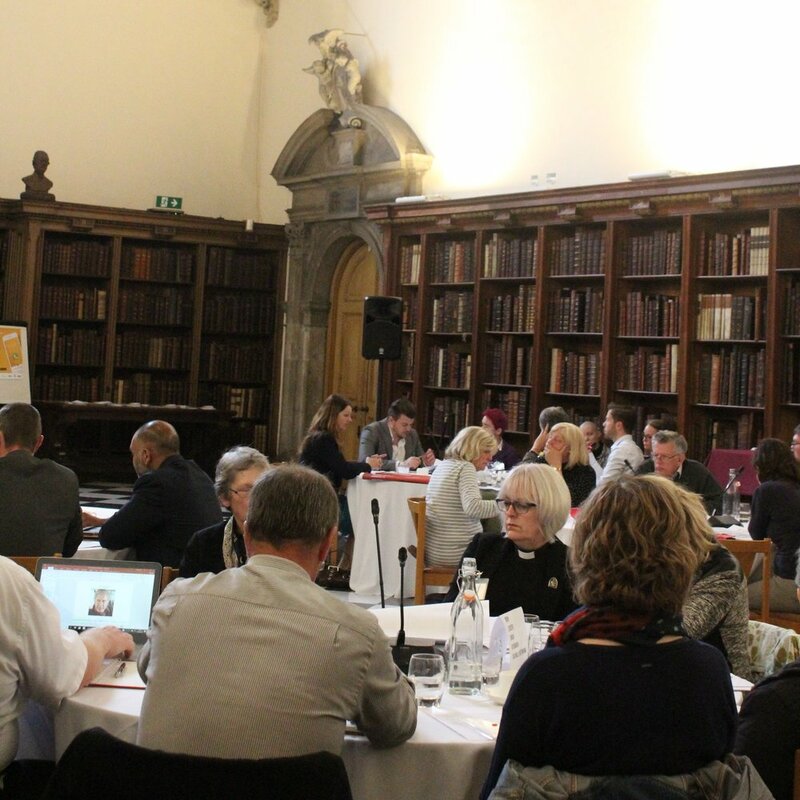 On Wednesday 16th May we held our second national network meeting at Lambeth Palace. We invited guests from all the dioceses of the Church of England, as well as colleagues from across the sector. The day was an opportunity for networking, engaging with one another’s work and learning from projects going on across the Church. We had a seating plan so that everyone would be seated with the people working in dioceses close to them. We based the groups on the regional groupings used by the police, as collaboration with law enforcement is key to anti-slavery partnerships. We also hoped to encourage more regional working, such as the recent service held in Derby Cathedral and run by the Dioceses of Derby, Lichfield, and Southwell and Nottingham. We began the day with a welcome from Bishop Alastair Redfern, Bishop of Derby and Chair of The Clewer Initiative. He encouraged those in the room to keep pushing for action on modern slavery within the church, reminding us that the attention of the government and society would move on, but the problem would remain. Our project officer Caroline Virgo and Dr Alison Gardner of the University of Nottingham led the next session, giving an update on our work so far, and exploring where the work will go next. Group work during the session encouraged those attending to think about what was encouraging or ‘giving life’ to their own anti-slavery work, what opportunities and challenges they were encountering, and, reflecting on those two areas, what could happen nationally, regionally, and locally to help move their anti-slavery work forward? More inspiration then came from two stories of anti-slavery work. Rev Dr Dan Pratt from the Eastern Baptist Association shared about his interactions with homeless people in Southend, and how their experiences with modern slavery have affected them. We then heard from a team from the Diocese of Derby – Carolyn, Anita, and Rachel – who had created anti-slavery assembly resources for the Church’s primary schools in the diocese. 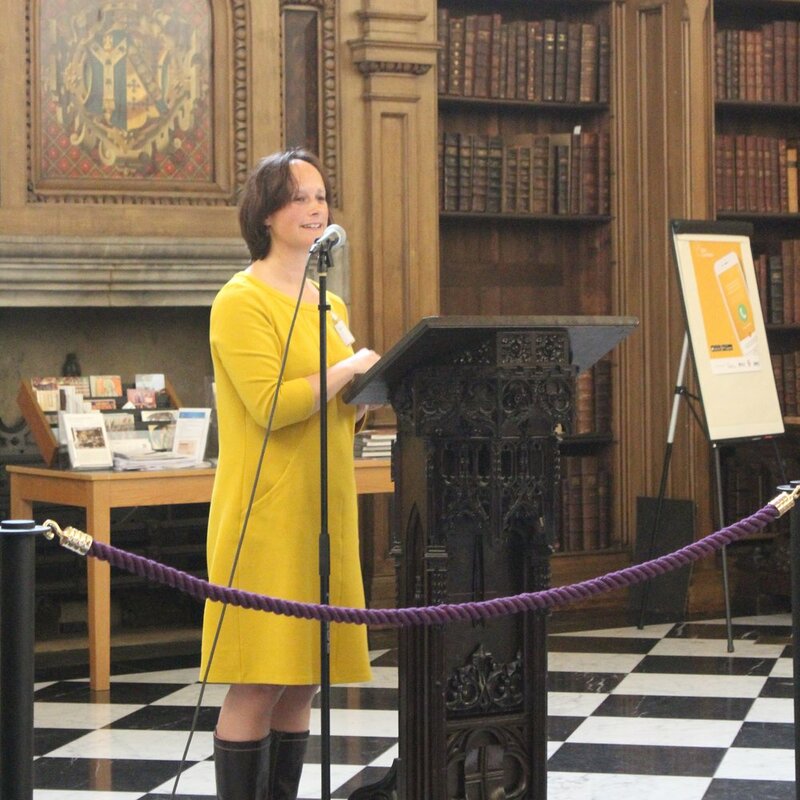 Before lunch Caroline Barnard, our communications officer, gave an update on all the resources we have been creating – including our Lent campaign #GiveUpSlavery - and the training that is now available for dioceses. After lunch we were joined by Paul Connop from the National Crime Agency to talk about reception centres and how churches could offer their buildings to help police interview potential victims of modern slavery. He spoke about how reception centres can sometimes resemble “chaos” but that there is always a system at work. Victim care and support was the theme of the afternoon as Paul’s presentation was followed by training from Mike Emberson, former Chief Executive of Medaille Trust, an organisation that runs safehouses across the UK. He spoke about some of the gaps in the government system of support for potential victims, and how the church could help fill those. Rosie from Beloved, a Bristol-based charity that visits women working in massage parlours, then shared about her project’s approach to working with volunteers, revealing that, thanks to their fine-tuned recruitment polices, perhaps 2 in 10 of those who want to volunteer with the project, actually end up working with them. The day ended with a final prayer of blessing from Bishop Alastair, and a renewed sense of purpose for The Clewer Initiative team. The feedback we got from those who attended was similarly positive with participants saying they found the group work particularly helpful and that the sessions given were “enlightening”. We look forward to next year when we are sure there will be even more stories to share. You can see more updates from the day on Twitter.